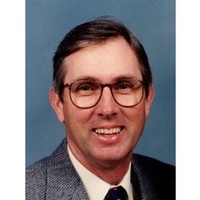 Roger Lee Stocke, 80, of rural Enfield, Illinois, died Sunday, January 20, 2019, at Wabash Christian Village in Carmi, Illinois. He was born August 21, 1938, in Brownsville, Illinois, the son of Verial Charles Stocke and Alma Wave (Kisner) Stocke. On April 19, 1962, he married Mary Jane (Clark) Stocke, and she preceded him in death on October 29, 2011. Roger was a faithful member of the Emmanuel United Methodist Church in Carmi. He was a retired painter and wallpaper hanger and also farmed and raised cattle. He enjoyed 4-wheeling and had a passion for fast cars. Survivors include sister Marsha Weaver of Sherman, Texas; brother Lanny (Ruth) Stocke of Carmi; and eight nieces and nephews. He is preceded in death by his parents; and wife, Mary Jane Stocke. Visitation and funeral are Friday, January 25, 2019, at the Emmanuel United Methodist Church in Carmi. Visitation is 9-11 am, and funeral is at 11 am. Burial will be in White County Memorial Gardens near Carmi. Memorials may be made to the Emmanuel United Methodist Church and will be accepted at Cook Funeral Chapel in Carmi. Cook Funeral Chapel in Carmi is in charge of arrangements.